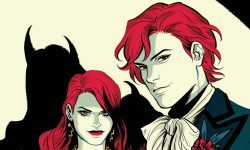 Home Posts tagged "archie horror"
When vampires and werewolves from two different universes go to war, will anyone in Riverdale survive?! 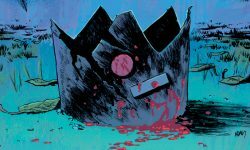 On April 24, the worlds of JUGHEAD: THE HUNGER and VAMPIRONICA will collide in the first chapter of an all-new five issue comic book mini-series, JUGHEAD: THE HUNGER VS VAMPIRONICA! 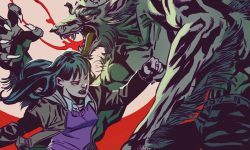 Werewolves attack in this preview of JUGHEAD: THE HUNGER #13! 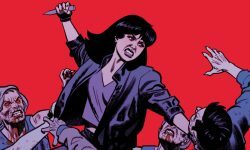 It’s all-out war in VAMPIRONICA #5! 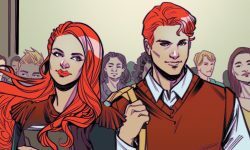 “We’re turning everyone in Riverdale tonight.” You can’t go home again… or can you? 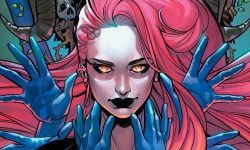 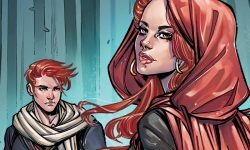 Veronica’s search for answers leads her and Dilton Doiley to a deadly confrontation – but are they too late to stop the vampire attacks from spreading throughout Riverdale?